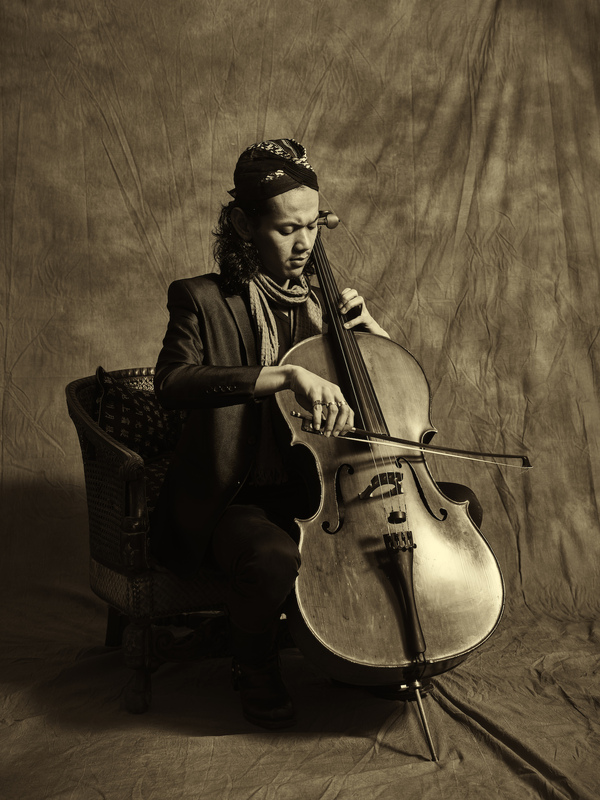 Indonesian cellist and composer, Alfian Emir Adytia is actively playing music from the baroque period up to contemporary and extra-classical music of today. Began his musical studies with his father, Yoesbar Djaelani, Alfian won several prizes nationally and internationally such as The Best Performance Prize in the Zhang Jia Jie International Country Music Week 2013 (China), 2nd prize/Publikprijs in Asten Classic Award 2018 (Netherlands) and 1st prize/Juriprijs in Willem Twee Chamber Music Competition 2018 (Netherlands). Alfian has performed cello concertos with orchestras in Indonesia, playing with Hong Kong New Music Ensemble, collaborated with New European Ensemble, featured in Amsterdam Cello Biennale, Jazz in de Gracht and Gaudeamus Muziekweek. In The Netherlands, Alfian studied cello with Larissa Groeneveld & Roger Regter in Koninklijk Conservatorium Den Haag, Maarten Mostert in Conservatorium van Amsterdam, Jeroen Den Herder in Cello Academy Zutphen, Harro Ruijsenaars & Gavriel Lipkind. Alfian studied jazz string practices with Tim Kliphuis. In composition, Alfian studied under the guidance of Martijn Padding in Koninklijk Conservatorium Den Haag. Composed over 100 works for cello and various instruments, Alfian has won 1st prize at Composition Competition 50 Years of Blessings Avip Priatna 2016 (Jakarta). His works have been widely played in Indonesia, Southeast Asia, Taiwan, China, Japan, The Netherlands, France and in the US. In 2017, he released his first CD album ‘Nachtmusik’ for 4 cellos. This album has been featured in 2017 Zutphen International Cellofestival.